How do I use the Windows 2008 R2 Recycle Bin feature ? 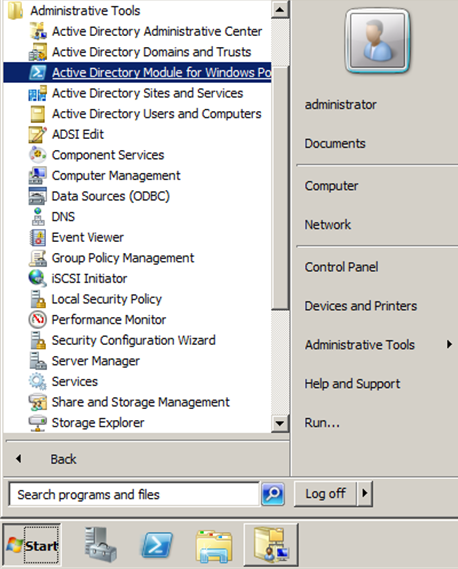 New in Windows 2008 R2 active directory is the concept of Active Directory Optional Features and the first of these which have been made available is the Recycle Bin feature. Ever since Active Directory was launched you have been able to recover individual deleted items by undertaking an authoritative restore of sections of the database, even down to an individual object. From 2003 onwards deleted objects have been tombstoned and you have been able to use the ADRestore tool (available to download from http://technet.microsoft.com/en-us/sysinternals/bb963906.aspx). However, the issue with these methods has always been with back links or, to put it another way, restoring these items with any group membership they had and, yes, it has been possible to do that with multiple authoritative restores of the database but that is at best tiresome and at worse can be dangerous. What the Recycle Bin feature does for you is restore with these back links / group memberships in place. However, to use this feature the first thing you need to do is have your Forest at the Windows 2008 R2 level. Whilst your schema may be at the R2 level (meaning your forest can play host to 2008 R2 Domain Controllers) your domains and forest may still be running Domain Controllers with previous operating systems such as 2008 RTM or 2003 R2. 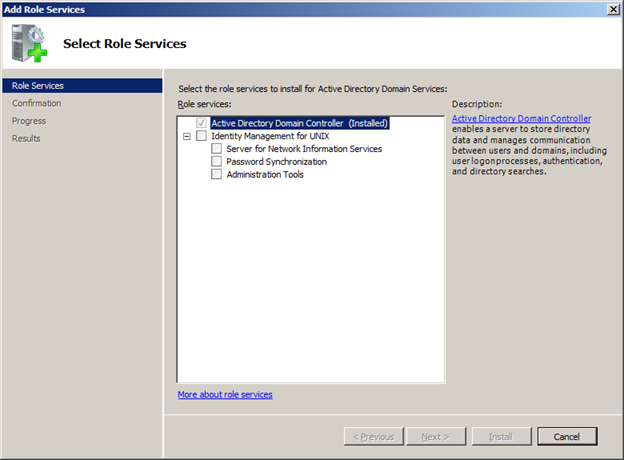 The easy way to check your domain level in Windows 2008 R2 is to start the new Active Directory Administrative Centre. If you select the domain node on the left hand side (the netbios name of my domain is philipflint) then you will be able to check and raise the domain / forest functional levels in the action pane on the right hand side. If your forest level is not at Windows 2008 R2 you can raise it. We can now install the Recycle Bin feature. Care should be taken before undertaking the next procedure. Enabling the Recycle Bin feature for a domain / forest is a one way process with no way back. In a typical environment the recycle bin feature will grow the Active Directory database by 10 – 20% which may have an affect on performance especially in larger environments which many thousands of users where servers have been sized to run the complete database in RAM. You should also note that, even though the Recycle Bin is an optional feature, it cannot be added as a Role Service nor as a Feature. Instead the role is enabled by running a command in PowerShell. 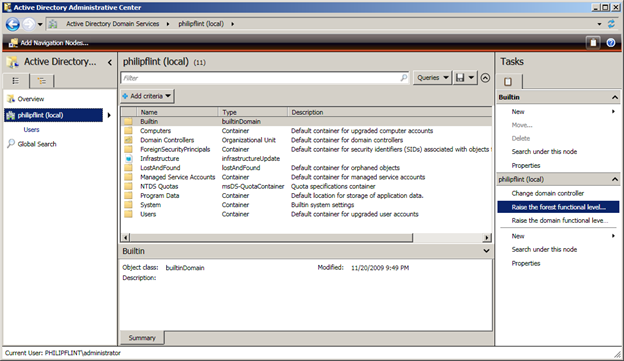 PowerShell is installed by default Windows 2008 R2 servers. However, PowerShell itself has no knowledge of Active Directory. Instead we need to load up the scripts and Verbs that PowerShell needs to be aware of to connect and control Active Directory. There are two ways to do this. The first, and simplest, is to click on Start | All Programs | Administrative Tools | Active Directory Module for Windows PowerShell. The other alternative is to start PowerShell by clicking on the below icon on the taskbar and then running the command below to import the Active Directory modules. We can now enable the Recycle Bin Feature. Below is a piece of code that you can change to use in your environment. I’ve highlighted in Red the three pieces of information you have to change. If you have a two tier domain name (such as .co.uk) then you will have to add another DC= section. An example is given below for a domain called philipflint.co.uk. After amendment for the appropriate domain name variables this command is simply cut and paste into the PowerShell window. I was not given a chance to back out of the addition of the feature as I used the PowerShell switch –confirm:$false which provides any confirmation when asked. If you do not include this switch then you will be asked to confirm the action. NOTE: This command needs to be run for each domain in your forest for which the Recycle Bin should be installed. After synchronising the domain the Recycle Bin will be active on all Domain Controllers and you can now test it out by creating test OU’s and test users and deleting them and restoring them. I have created two users called ‘William Shakespeare‘ and ‘Enid Blyton’ in an OU called ‘Authors‘. They are both members of the Global Group ‘Famous‘ and the Domain Local group ‘Published‘. We can now delete the William Shakespeare account. To restore a user that has been deleted I have provided a script for you below. As before, simply change the section in Red with the display name of the user you want to restore. I use the logon name as its something that you can ask the user that they are likely to know but if they don’t know this (‘Its always there, I just enter my password’) then you can use another field which uniquely identifies them, their email address for example. To restore Williams account we can just enter the following in the PowerShell window. The user account is now restored along with all group memberships. Now, of course, its possible that a user may be deleted who is in an OU that has also been deleted. It is not possible to restore the user without first restoring the OU of which they were a member or, in extreme cases, the whole OU tree if multiple OU’s have been deleted. Unless your records are up-to-date there is a chance that you may not know what your exact OU structure was and so you need a method of finding out what was the parent object of a deleted user. The code to do this is below. For example, if we run the above for our deleted William Shakespeare account we would run the following. As can be seen from the output, we can see that the last know parent (i.e. the containing OU for this user) was the Authors OU directly under the domain node. Note that the Authors OU has not been deleted and so the user object may be directly restored. Below is a screenshot with the same command but where the Authors OU has been deleted. In this case we can query the Authors OU to find its last known good parent until we find a containing object which has not been deleted. Once we know which is the first object to be restored we can begin the restoration process. Previously I have given you the code to restore a user. The command to restore an OU is slightly different and I show it below. In our case we would therefore run the following three commands to restore the OU and the 2 deleted accounts (William Shakespeare and Enid Blyton). I hope you have found this useful, can see why this is such a powerful feature of the R2 and gives you one more good reason to go for the upgrade. Nice Article, Pretty Detailed with Snapshots, Easy to understand..
Would there be a increase in Replication Traffic? Is it possible to change the Object Recycle Period to 90 days instead of 180 Days? Any increase in replication traffic would be minimal and only at the time the object is deleted, i.e. to replicate the deletion. After that the object isn’t changing so there is nothing to replicate. As to changing the amount of time the deleted object is retained for, the technet article for this is at http://technet.microsoft.com/en-us/library/dcf3431a-c562-447f-a591-4742d2bcdbfa(v=WS.10)#BKMK_1. Just wanted to inform other readers one important point. All the objects deleted prior enabling the AD Recycle Bin will be permanently deleted and you cannot even find that object.